Blanket scarves: God’s gift to those who crave comfy and cozy! You guys! Swirling Honey boutique is known for it’s blanket scarves and now I understand why! Not only is the one wrapped around my neck incredibly thick, soft and warm, it’s also adorable! Perfect for those days you want to give a little pop to an outfit or for the days like today, that greet us with a temperature of a mere 8 degrees. This Midwest girl loves a good scarf and I look forward to ordering many more from this fun boutique. The options are plentiful! 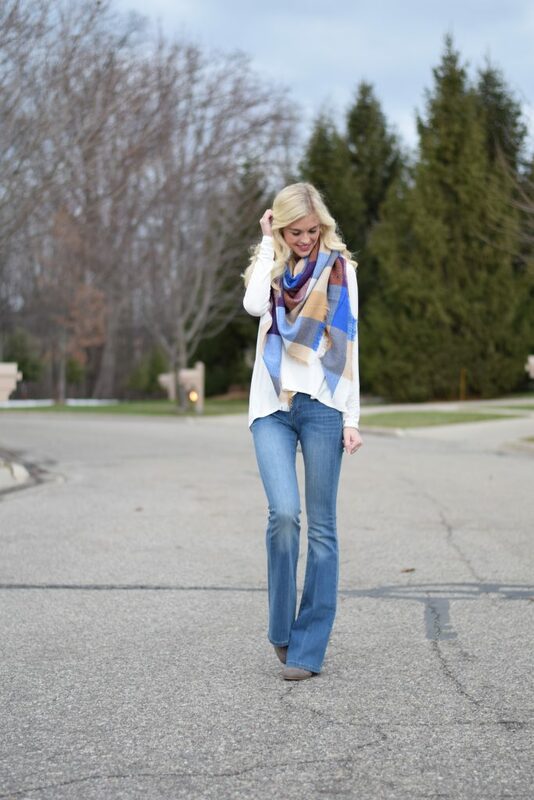 To shop my exact scarf (only $19.99), click HERE! For other patterns and prints, click HERE! Lastly, for those of you that messaged about my shirt, you can find that HERE! Happy shopping everyone!